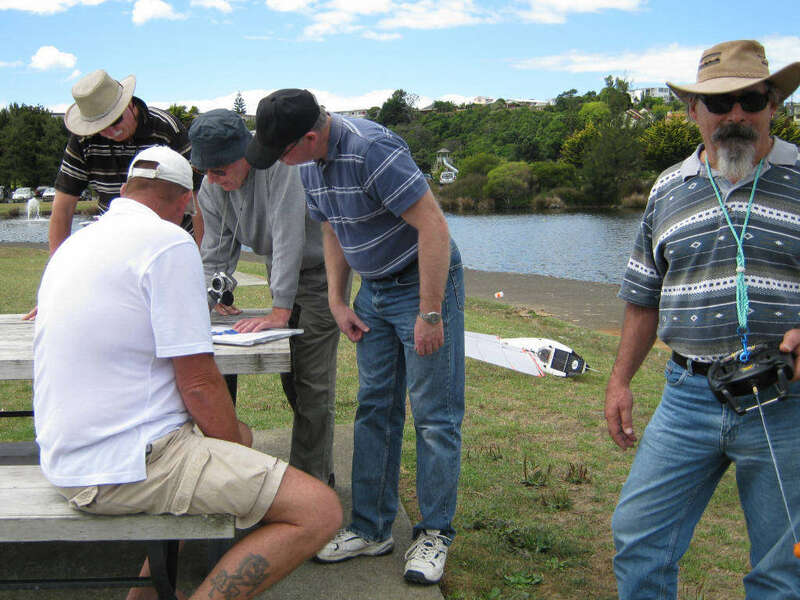 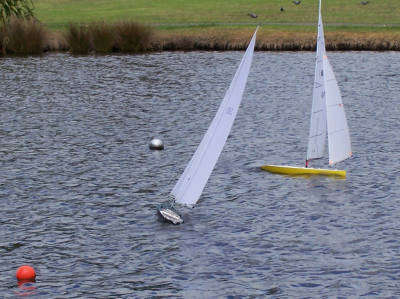 Aggregate Match Racing Series 3 - March 7 2010. 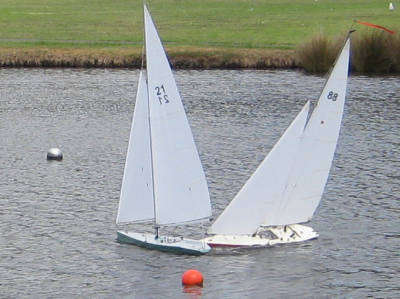 Bruce and Neil. 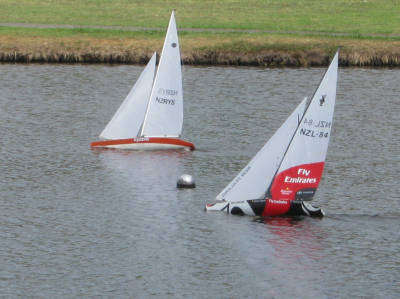 I get a good start with 100. 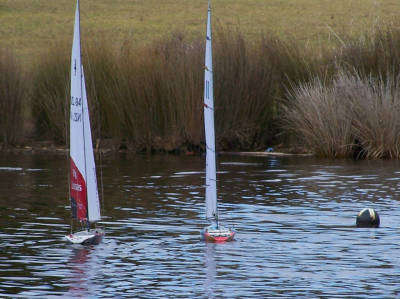 Brian (16) and Kevin Webb (30) mixing it up in the pre-start. 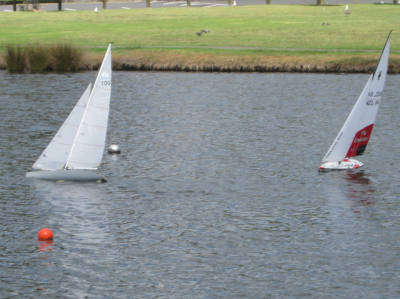 The final race between John Dowler (11) and Ivan Fraser (84). 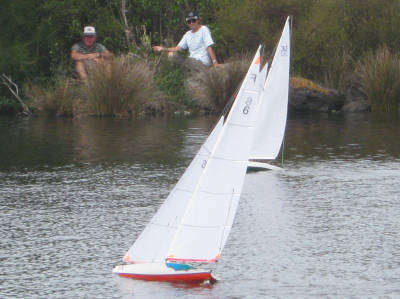 on the first windward leg. John eases ahead but can't tack. 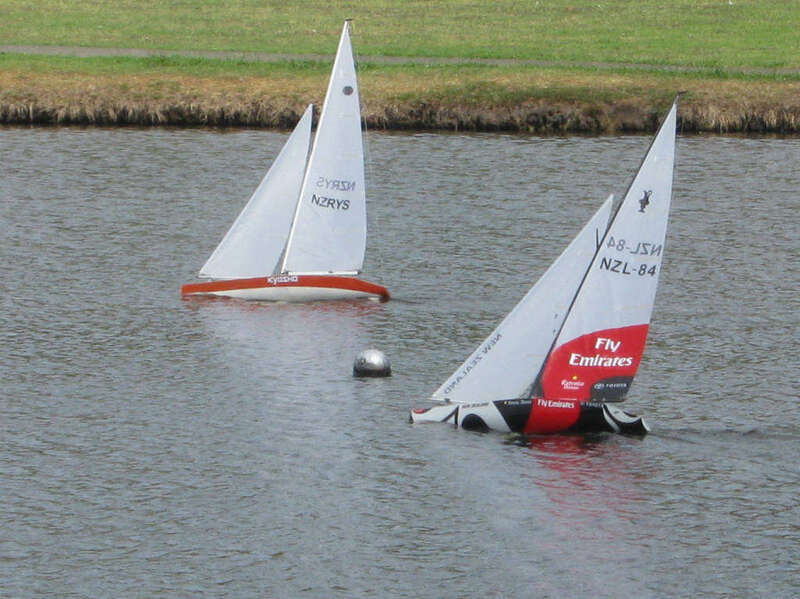 overlap halfway down the leg. 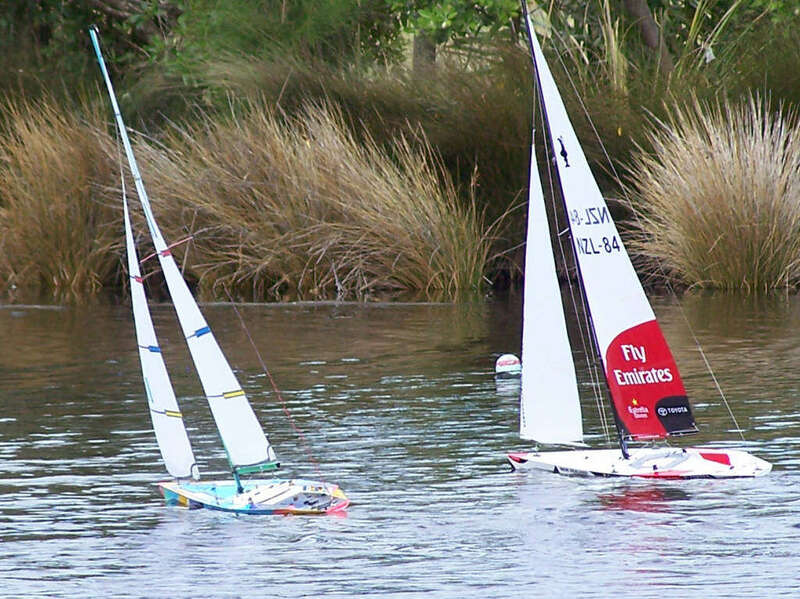 around the downwind mark. 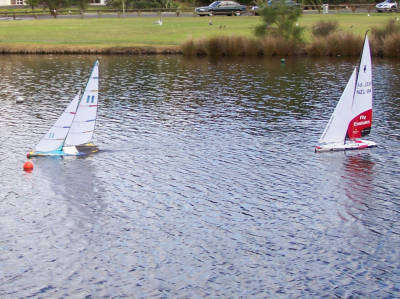 Halfway up the beat John takes the lead... and eases ahead. 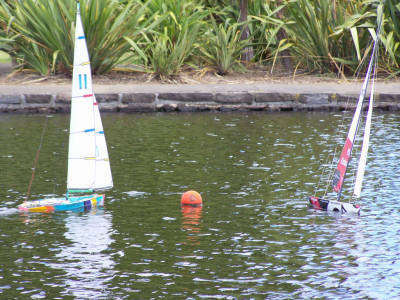 and has starboard advantage at the cross. John goes behind... and gets an inside overlap at the top mark... and can lead around. John is away on the downwind. 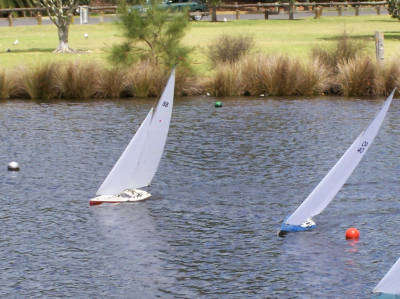 Ivan catches this time... and threatens to get the inside line. 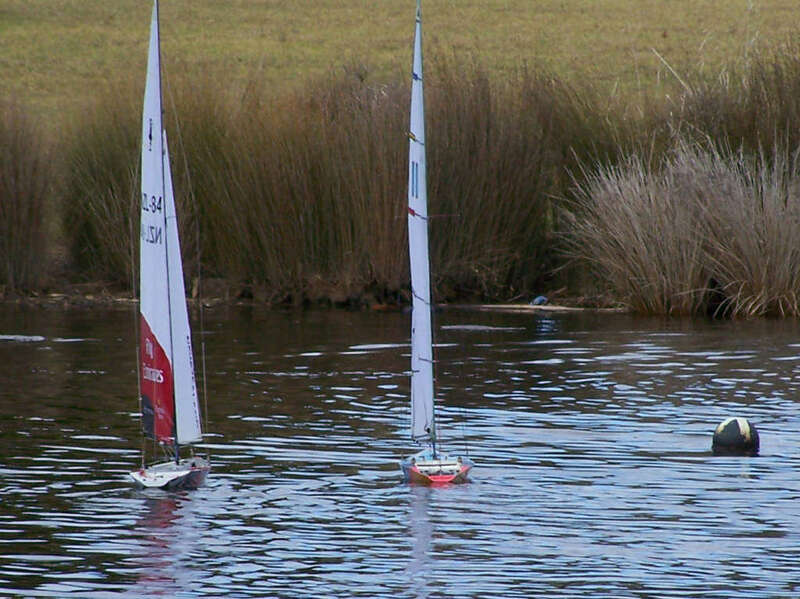 the final mark... and up the last leg... to take the win. 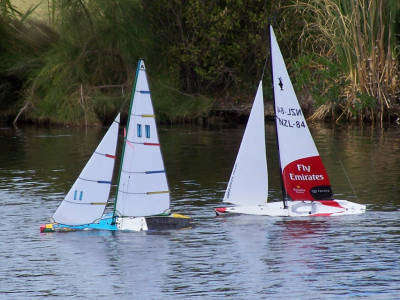 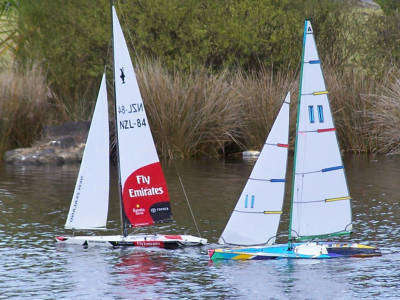 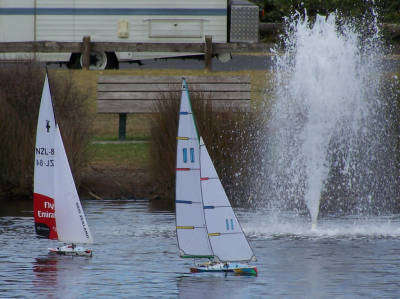 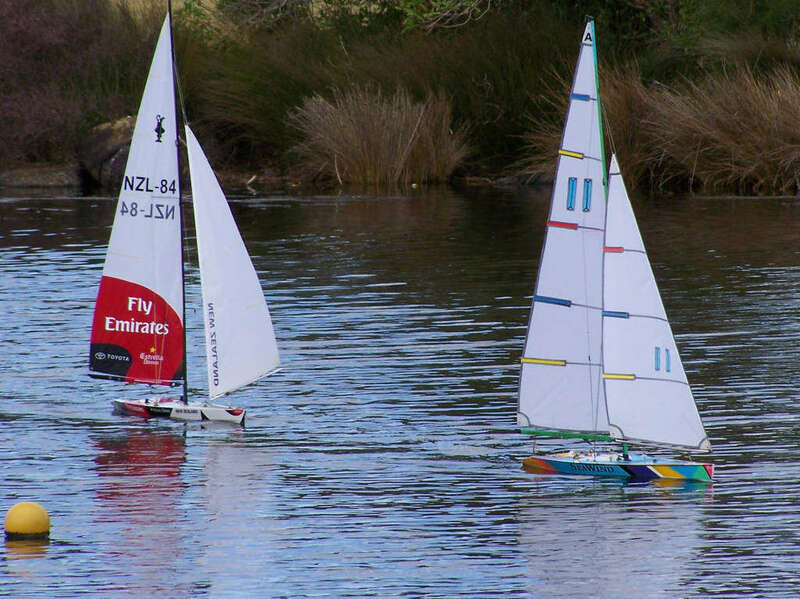 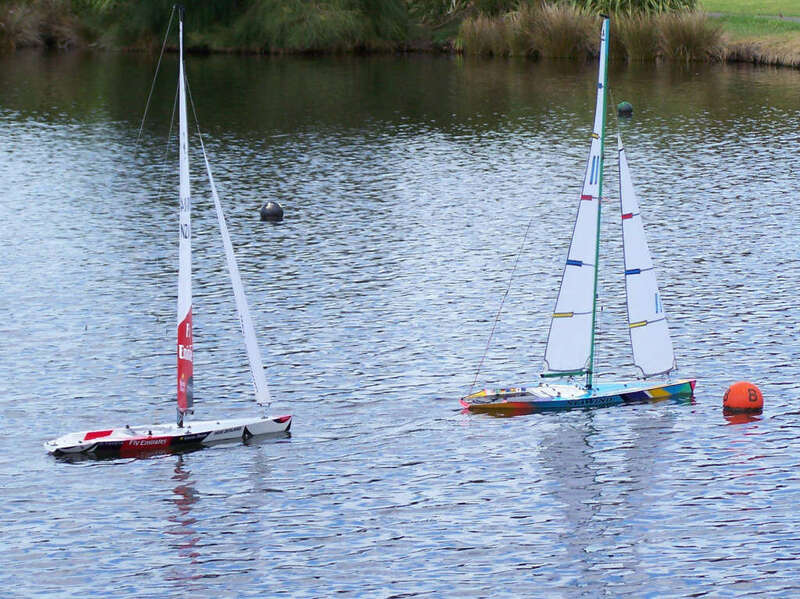 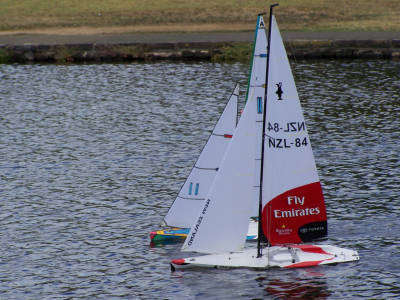 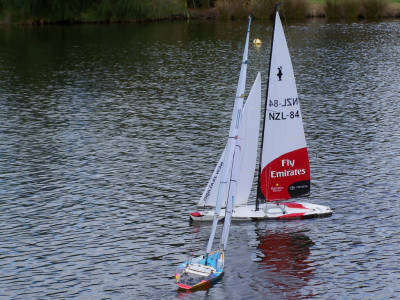 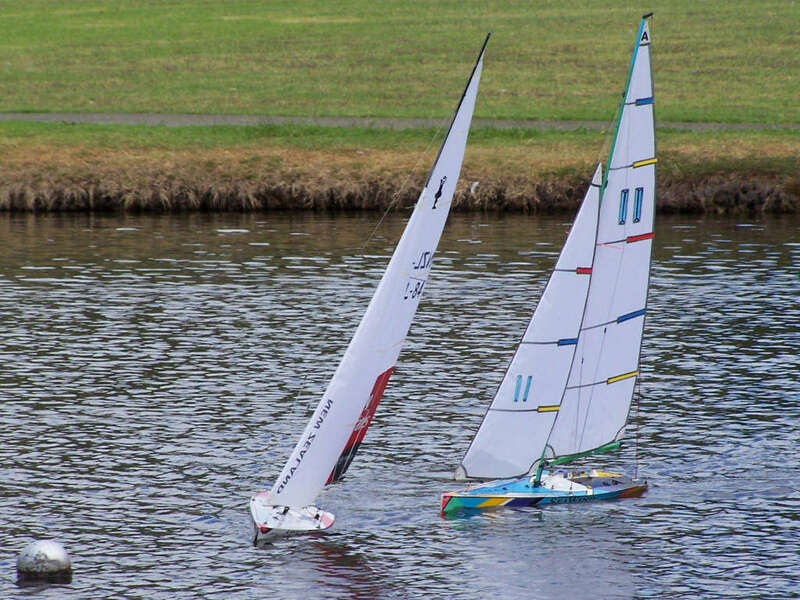 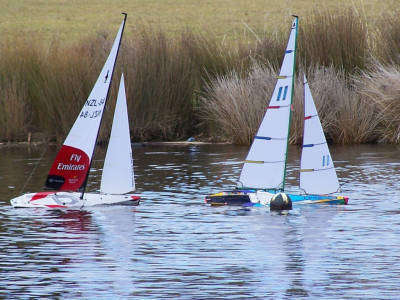 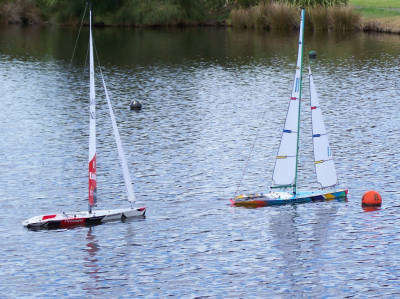 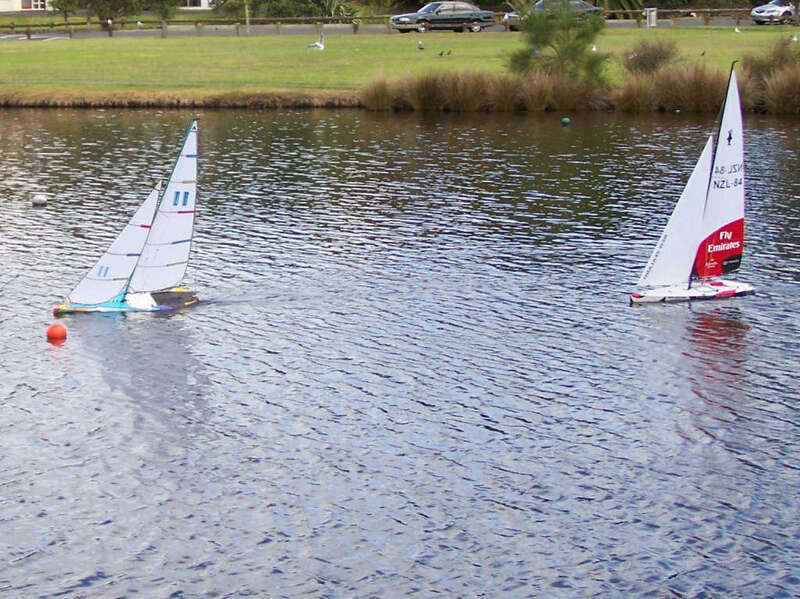 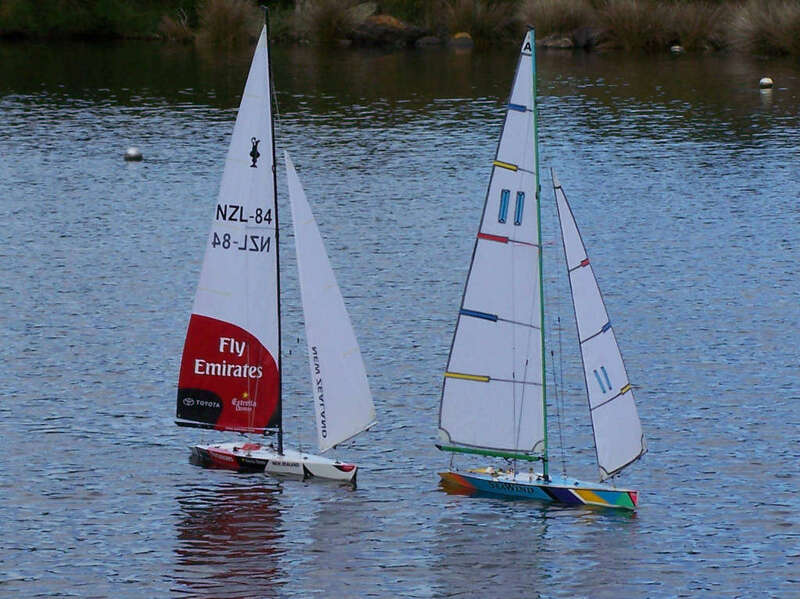 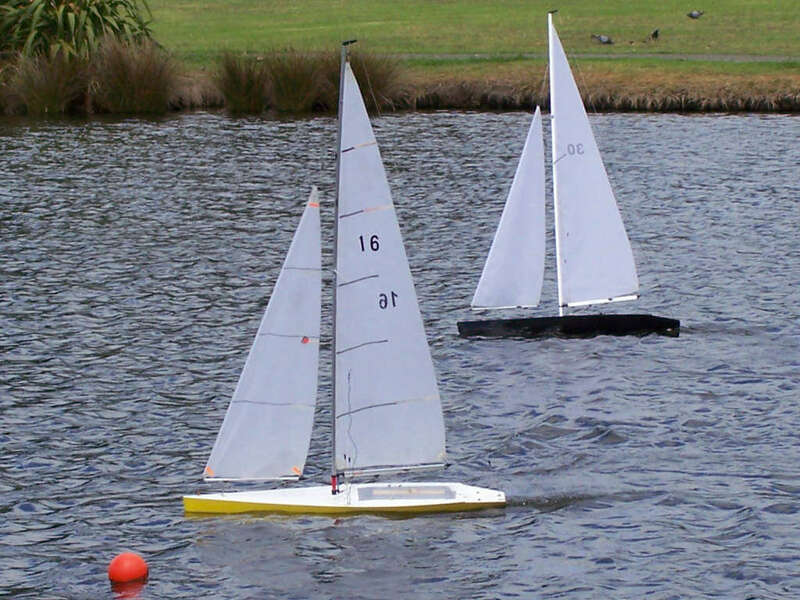 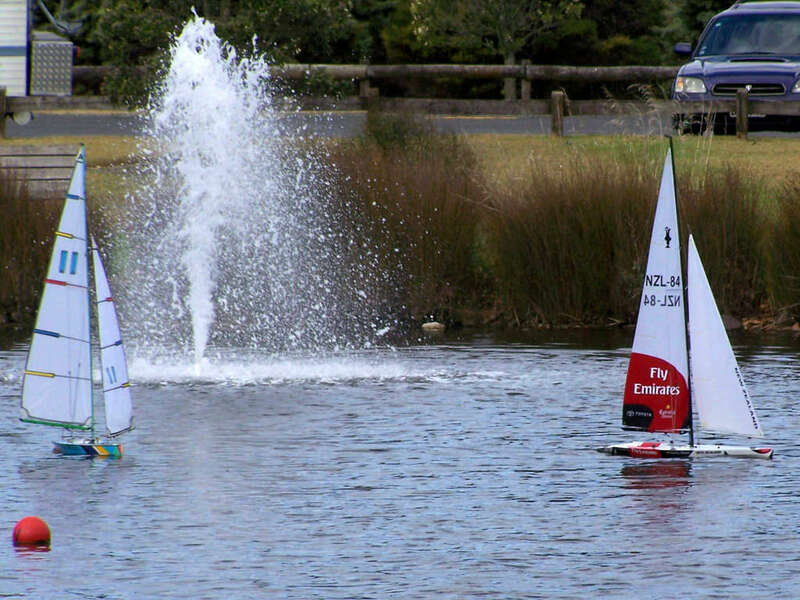 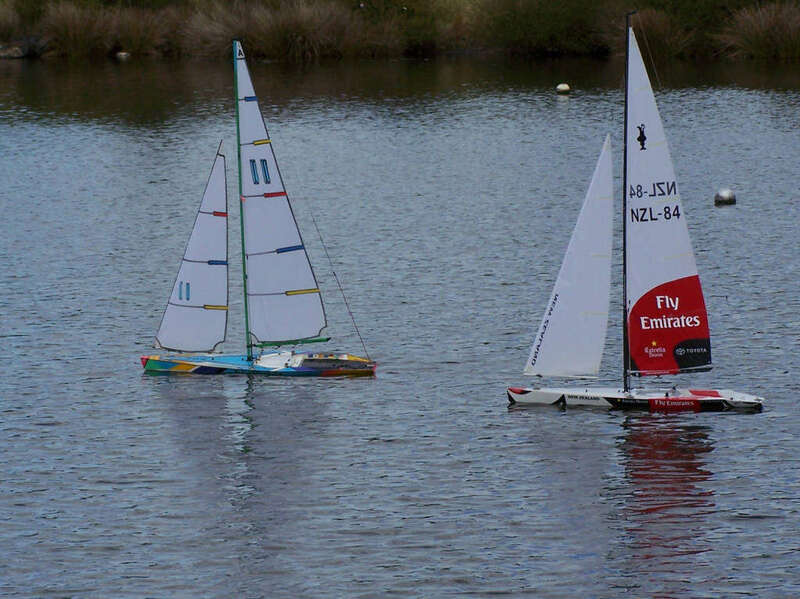 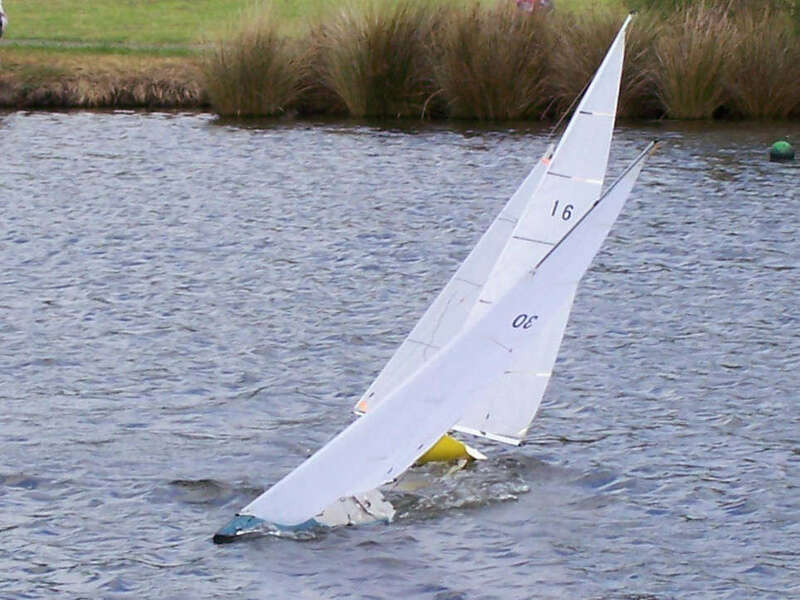 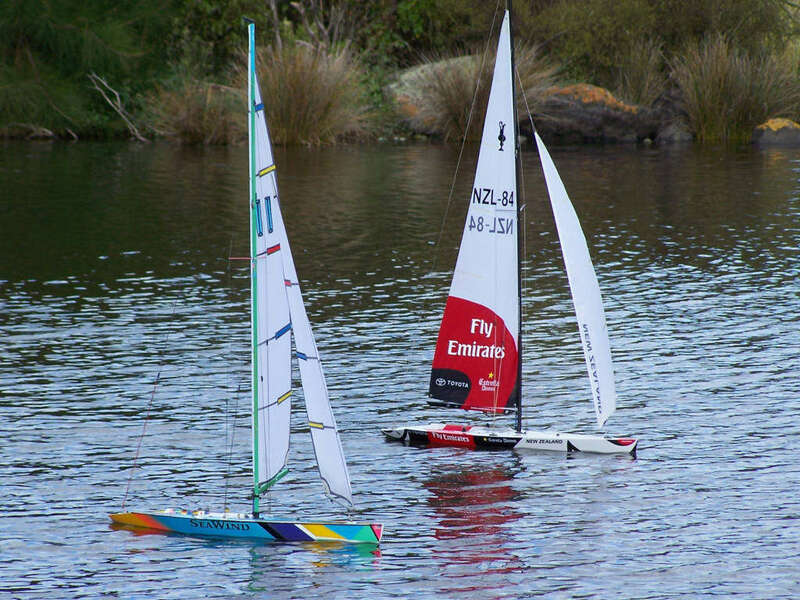 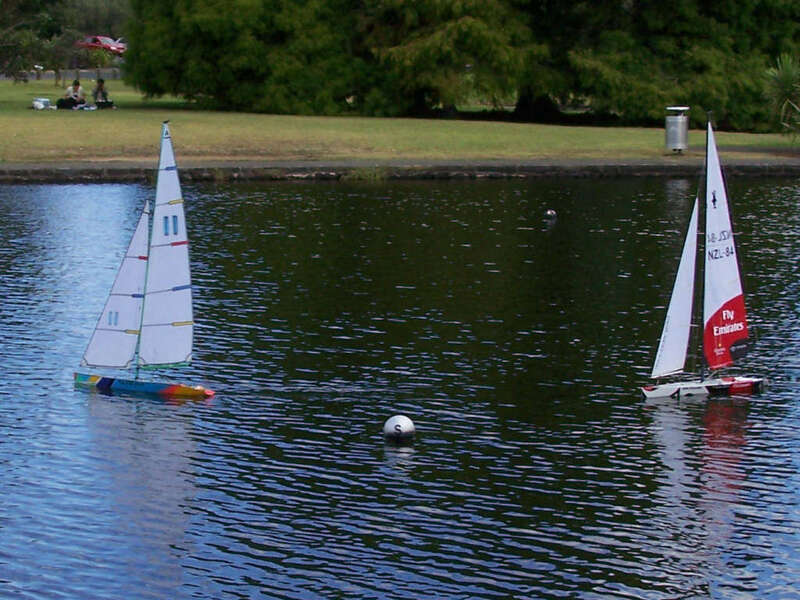 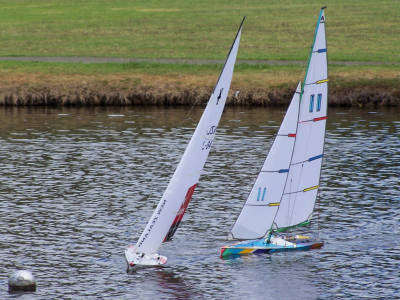 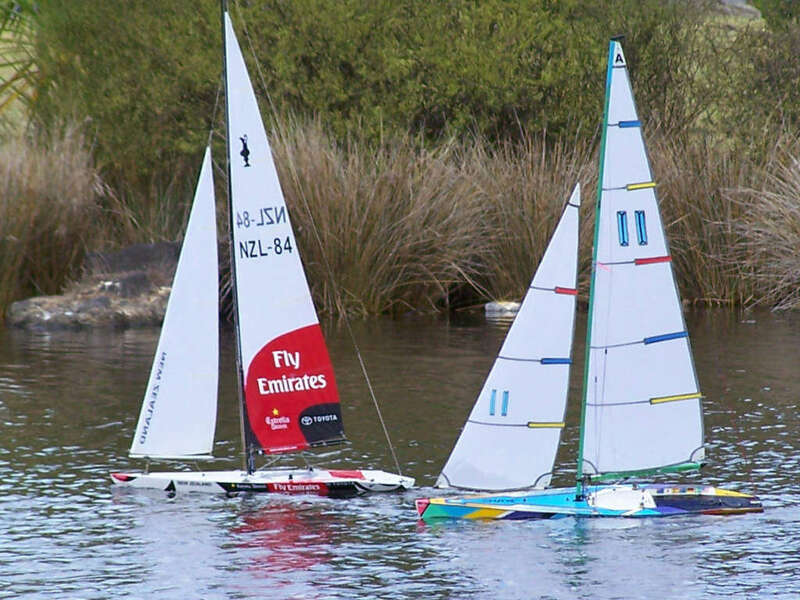 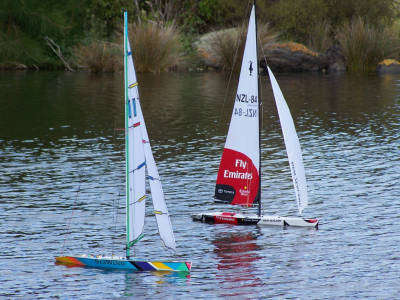 A fleet race was held after match racing was completed. Photo: T.Buxton.